Nebraska is the 38th most populous of the 50 American states and is crossed by many historic trails. Known as the Cornhusker State, Nebraska is characterized by treeless prairie. The state is a major producer of corn, pork, beef, and soybeans. Other major industries here also include manufacturing and transportation. Entrepreneurs incorporating in Nebraska should feel confident knowing that their personal assets are protected. Corporations and limited liability companies separate the assets and liabilities of companies from the personal assets of the business owner. Whether starting a new business or incorporating an existing one, incorporation makes a business appear more credible to potential customers, suppliers and investors. You also have the security of operating under US law. Nebraska requires that C corporations and LLC not have names that are the same or could be confused with a business already in existence. To make sure your business name is eligible Inc. Plan can help you choose a unique C-Corp or LLC name. A distinctive corporate name enhances your company’s reputation and also helps protect the identity of your brand. Entrepreneurs In Nebraska are free to operate either as C corps or LLCs. The type of business entity you choose determines the nature of the taxes imposed on your business. C-corps are assessed taxes based on a businesses’ net income, LLCs are taxed based on Federal Election Laws. Nebraska does not have any residency requirements. 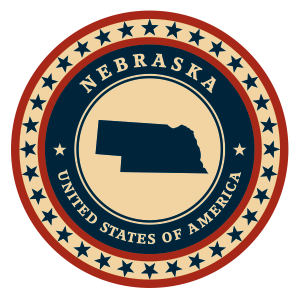 Owners and directors do not need to live in state to legally operate a Nebraska company. Before your firm is legally eligible to operate make sure you possess all the required business licenses, permits, and tax registrations. Inc. Plan can help you stay in compliance with state law. C corps and LLCs in Nebraska must have at least one director/member. It is not compulsory for directors or members to be listed in the initial filing document with the state. Nebraska asks for a state identification number and an EIN for each business entity. When forming a Limited Liability Company certain steps must be taken to keep the business in compliance on an ongoing basis. LLCs must contain the terms “Limited Liability Company”, “Ltd. Liability Company”, “Ltd. Liability Co.” or the abbreviations “LLC” and “L.L.C.”. The incorporation name must not be identical with the name of any other business entity, unless the other company a written consent is obtained. If you decide to incorporate an LLC in Nebraska, then you must file a formation document called the Articles of Organization. Nebraska LLCs must also submit a biennial report due between January 1st and April 1st of each odd-numbered year. Additionally, a public notice about the new company must appear in a local publication in the county of the principal business location for three consecutive weeks. The affidavit of publication must be filed with the Secretary of State. The Articles of Organization must contain the name and address of a registered agent which resides in Nebraska, and which is available to manage legal and tax business documentation. For more help with the formation filing or registered agent services, call Inc. Plan (USA). In Nebraska, LLCs are taxed based on its members’ personal income and not based on the net corporate income. However, LLCs can also choose to be classified as C corps and taxed accordingly. The state also requires an EIN for Limited Liability Companies which hire employees and for opening a US Bank Account. Nebraska allows organizational names that include the terms “Corporation”, “Company”, “Incorporated” or “Limited”. Abbreviations allowed are “Corp.”, “Inc.”, “Co.” and “Ltd.”. The incorporation name must not be identical with the name of any other business entity, unless the other company gives its written consent, or it is obtained by court decree. In order to form a C corporation in Nebraska, entrepreneurs must file a document called Articles of Incorporation and a biennial report known as the Occupation Tax Report and Payment. The biennial report is due March 15th. Additionally, a public notice about the incorporation must appear in a local publication in the county of the principal business location for three consecutive weeks. An affidavit of publication must be filed with the Secretary of State. The Articles of Incorporation require a listing of the company’s authorized shares and par value, as well as the name and address of a registered agent with a physical Nebraska address. An increase in the number of shares can affect the initial filing fees. Inc. Plan (USA) can help you with the necessary filings and provide qualified registered agent service. Domestic and foreign C corporations are subject to a corporate income tax based on the company’s net revenues. The minimum tax rate in Nebraska is 5.58% for business incomes under $100 000.